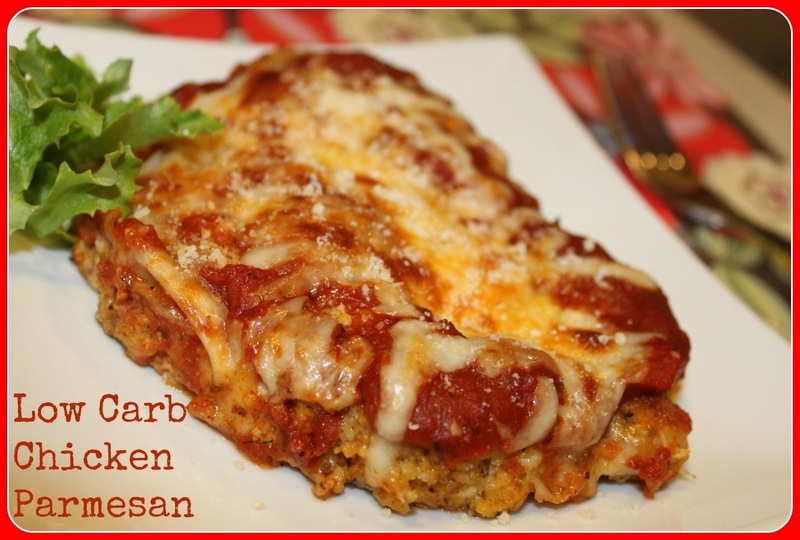 Wheat-free, low carbohydrate Chicken Parmesan. Almond crusted chicken, mama's paleo marinara and cheese! Just a note on why I am limiting all my carbohydrates (not just wheat) given I am no longer trying to lose weight. I can now easily correlate what I am eating to how I am feeling. In the past I was always such a mess between the caffeine sensitivity, sugar addition and irritable bowel that I could never tell what was causing which symptoms. Once I gave up caffeine and then started limiting carbohydrates to lose weight I realized I felt way better on the days that I limited my carbohydrates? As I understand it, when you eat carbohydrates (particularly ones that cause a rapid rise in blood glucose such as white bread or rice) your body converts them to sugar. When blood sugar rises, your pancreas produces insulin to take the sugar from your blood and use it in your cells to fuel your body. But unfortunately what goes up must come down so the spike in insulin is followed by a drop of blood glucose and a "sugar crash". Symptoms of a sugar crash can be confusion, anxiety, light headedness, fatigue, headache, irritability and HUNGER. I seem to be prone to the fatigue, irritability and hunger if I have carbohydrates early in the day (for breakfast and lunch). I've also had some issues with anxiety during my postpartum period. So goodbye carbohydrates and hello happy, energetic mama. In a heavy saucepan, saute garlic and onions in oil until softened. Add remaining ingredients: seasonings, tomato's, tomato paste and Stevia and bring to a low boil. Reduce heat and simmer for about 1/2 hour or until all flavors are blended. I made this ahead of time. You could also easily double this recipe and use some for another dish. Yay - you just made homemade tomato sauce that isn't full of sugar and sodium. Mix all ingredients together. This breading can also be used to make chicken fingers for the kids. Tip - only use what you need in the dredge pan so if you have any leftover you can freeze it and use it as breading for fish or chicken on another day. Preheat oven to 350 degrees. Pat the butterflied chicken breasts dry with a paper towel (so the egg will stick). Dredge the chicken first through the beaten eggs and then through the almond breading. Fry the chicken in a generous amount of olive oil over medium heat on a griddle or skillet (I used my griddle so I could do all the chicken at once). Fry each side until the breading is crispy - about 5 or 6 minutes per side. Transfer to a greased (I used a combination of olive oil and butter) 9 x 13 glass pan. Top each piece of chicken with a couple tablespoons of Mama's Paleo Marinara, Parmesan cheese and Mozzarella cheese. Bake in the oven for 25 minutes. I finished it off by broiling on high for 2 minutes to crisp up the cheese. I did two extra chicken breasts the exact same way. Bread, grill, bake but without the sauce and cheese for the kids and I didn't broil them. One of the chicken "fingers" I did for the kids - It was kind of shaped like a giraffe - handy! My family and I love this. I believe we have had it once a week for a month now. Thank you for sharing. So glad you are enjoying it. We had to give up dairy so its off the rotation. Boo hoo. We also loved this recipe. If you like this you would probably also love my chicken lemon garlic Parmesan recipe. I made this again, doubled the recipe. This time I used goat cheese. Super tasty!